The end of Borders took place within a larger context. But the disruption to brick stores started before ebook sales were even visible with a microscope, more than a decade sooner, when bookstore customers started migrating to online buying. Ebooks just accelerated what had been a trend of traffic and sales erosion that had existed for quite some time. Ed Nawotka of Publishing Perspectives has a nice account of some serious errors Borders made around the turn of the century. Replacing a book-experienced management with merchants from outside the book trade was the gateway mistake. 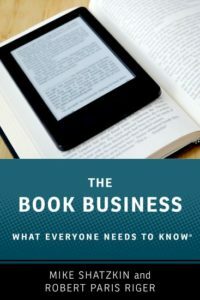 Eliminating the local marketing function was one that probably came from it: the local differentiation and customization required for a successful bookstore is much greater than what is needed for pets or groceries and successive managements from outside the book trade wouldn’t have known or understood that. Turning over ecommerce to Amazon showed a shocking lack of digital vision. It is often forgotten that Barnes & Noble once made half the same mistake: they originally owned their BN.com ecommerce capability jointly with Bertelsmann until they bought their partner out. And Barnes & Noble had obvious challenges reconciling their online business with their overall business until they brought in new management that clearly saw the online business as the future. That wasn’t until much later in the century’s first decade. The problem both chains probably saw is that the skill sets required to run a successful brick store chain didn’t apply to creating a digital business so they were nervous about investing too heavily in it. When the time came that it was obvious that they had to do so, Borders was too weak to recover and Barnes & Noble, despite a web operation that had serious flaws, at least had a platform and customer base to build on. And they had strong cash flow from a healthy, well-managed in-store print book business. The category management idea Borders tried to implement and which Nawotka documents was a fiasco in every way: poorly conceived, poorly executed, and an idea that, if it could work for the book business at all, would have to be selectively applied, not forced on every section of the store. The reduced selection concept that was underlying category management suggests that perhaps Borders had an early and accurate read on the fact that the Internet had diminished the power of selection in a brick store as a magnet for customers. It is true, and it was true then, that the power of aggregation had shifted from offline to online. It is just impossible for any physical location to deliver the choice that an online bookstore can. Most people now know that if you want to choose from the widest possible selection of just about anything the the last thing to do is go to a store. And that’s particularly true of books, which you don’t have to smell or taste or try on for size. In my opinion, the defect in Borders that led to their ultimate demise was “none of the above.” It was their supply chain, which for well over a decade has been an inefficient mess. The irony is that when Borders started, inventory management was their signature strength. The Borders brothers developed a tracking-and-purchasing system which was state of the art at the time (the 1980s) and turned it into an expansion opportunity. It all worked so well that they were able to sell the chain to K-Mart, which already owned the mall store chain, Waldenbooks, in 1992. That was probably the beginning of their downfall. Borders and Barnes & Noble were on parallel paths building out superstore chains, featuring bookstores that pulled over 100,000 titles together under one roof. Until Amazon arrived in 1995 and started gaining traction, this was a nearly-irresistible proposition to the heaviest book consumers. Both chains, fueled by Wall Street investment, grew their number of large stores quickly. The stores were free-standing destinations, not in large shopping malls. But this is where the chains diverged. Barnes & Noble made a substantial investment in a supply chain infrastructure. They built what was effectively an internal wholesaling operation, putting backup supplies of the books their stores carried within one day’s delivery of most of their chain and within two day’s delivery of just about all of it. They built systems to set stocking levels and maintain them. My first client work at B&N was in the late 1990s when they were crawling with logistics experts to make inventory management rules and policies, but they were also smart enough to want some book inventory expertise from outside their company (not that they didn’t have plenty of it on their own payroll) to help with the planning as well. Meanwhile, Borders was working on gimmicks like category management and their supply chain became increasingly bureaucratic and convoluted. They pushed books through a warehouse, but only to put stickers on them. This compounded the irony. In the 1970s, the B. Dalton chain that B&N owned had virtually invented computer-assisted inventory management based on stickers they put on the books carrying an SKU number. Walden, in the days before they were owned jointly with Borders, had leap-frogged Dalton in that regard by scanning the ISBN instead of needing a sticker. Now, 15 or 20 years later, B&N regained that same advantage over Borders. Borders suffered the delay and the cost of stickering new books as they came in and B&N didn’t have to. But, much worse, Borders backlist ordering was haphazard (almost totally human-controlled, whereas B&N’s was largely automated) and infrequent. B&N literally ordered from many publishers every day; Borders was ordering from major publishers as infrequently as every six weeks. When you order infrequently, you face two choices. You can be overstocked on many things or out of stock of many things. There is no other alternative. The complications to inventory management posed by the granularity and diversity of book selection utterly defeated the non-book veterans that serially ran, or mis-ran, the company. The lack of a digital strategy compounded the problem, but the supply chain lunacy was the problem. The cost of inventory is the greatest variable expense of running a bookstore. If you don’t get value for your inventory dollars, your leases and your staff couldn’t save you, even if they were good. What this means for publishers’ sales is a bit difficult to predict and will even be harder to discern. Sales this year have been skewed by the Borders inventory dump. Publishers’ editions elsewhere and the stores their books are in have been competing with liquidation sales. This depressing effect on other retailers’ business and, as a result, their willingness and ability to order from the publishers, will be coming to an end. Publishers Lunch got together with Bowker a couple of months ago to ask questions of Borders customers to try to discern where the business would go. They have hard data to the extent that it is possible to develop it, having asked people how their purchases would be affected and where they would buy when their Borders was gone. Only 8% said they’d buy fewer books, although nearly 20% said they’d use the library more. Of course, the movement of sales from print in brick-and-mortar to print and ebook online will continue, so how much lift from this will actually be felt by chains, independents, and mass merchants is still up for grabs.